Glow Family Dental is extremely fortunate to have the team that we do. Each member is not only highly-trained and has years of experience, but they are exceedingly friendly as well! Our team instantly clicked the moment we got them together, and they help create the fun and relaxed atmosphere that our patients love. Of course, behind their welcoming smiles is an elite level of skill, and they’ll make sure your appointments are always well-organized and flow seamlessly from beginning to end. 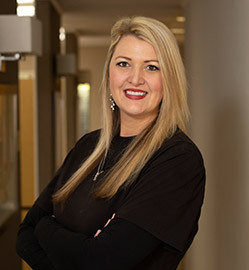 Jessica has been with our team since 2015, and she has 6 years of dental experience overall. She thinks that our team is “awesome, talented, funny, and dedicated,” and she’s absolutely thrilled to be a part of it. 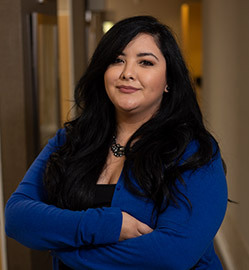 Jessica will make sure that scheduling your appointments is nice and easy, and she’ll also be able to answer any insurance/financing questions you might have. A native of Irving, in her spare time, Jessica loves baking, reading suspense books, and trying out different restaurants with her husband. 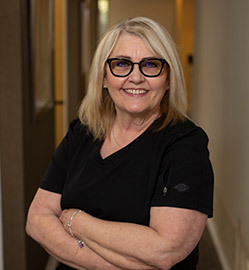 Judy has worked in dentistry since high school, and today, she has nearly 30 years of experience, which our patients benefit from every single day. Her main goals are to help our patients feel as comfortable as possible and make sure their appointments are always smooth and stress-free. She has a lot of fun here every day, and you’ll likely hear her laughter as you walk in the door! Judy is the proud mother of four children, and she describes her family as “a little crazy and so much fun.” At home, she loves being “Nana” and playing with her grandchildren. She also loves dogs and likes to raise labradoodles. For Tonya, nothing is more important than building relationships with her patients. She just loves that she gets to educate people about their dental health and give them a pristinely clean smile. A graduate of Texas State University, she received her hygiene training from Tarrant County College, and she’s now certified in nitrous oxide sedation, OSHA, and CPR. Tonya is married and describes her husband “as a selfless, kind-hearted firefighter,” and she says that their two boys are the loves of her life. Nothing makes her happier than to go camping or bake something delicious for her family. If you need any new recipes, be sure to ask her! 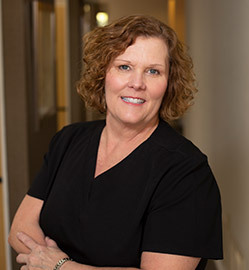 Lori brings a wealth of skill and experience to our team as she has been working in the dental field for more than 30 years! She attended Baylor University and graduated from the Caruth School of Dental Hygiene. Even after all of these decades in dentistry, she still says that her favorite parts of the job are meeting new patients and getting to work with a wonderful team. Originally from Midlothian, TX, Lori has been married for 32 years to Ben, and they have two grown children, Cole and Abby. When not in the office, she enjoys crafting, gardening, and spending time with her precious granddaughter. 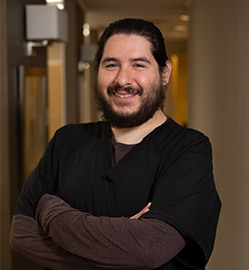 Alex has been in dentistry for more than 14 years, 6 of which have been right here at Glow Family Dental. He’s a complete people person, so nothing makes him happier than taking care of and catching up with his patients. He’ll treat you like an old friend from the moment he meets you, and he’ll make sure that your appointments are always fun and relaxed. He describes his family as “loud and loveable,” and you’ll see that this perfectly suits Alex! He currently lives in Duncanville with his wife, Kristine and their son Sonny, and he loves anything having to do with music—be sure to ask him about his guitar playing!